Use our preschool and kindergarten resources and activities to give your children a head start or some extra help to develop essential skills necessary for a successful transition to kindergarten or first grade. Our ready-to-use preschool and kindergarten activities and games allow children to develop naturally and at their own pace. Our printable activities contain flexible and fun hands-on learning activities that teach and develop academic skills, promote creativity, and instill a "love to learn" in your children. 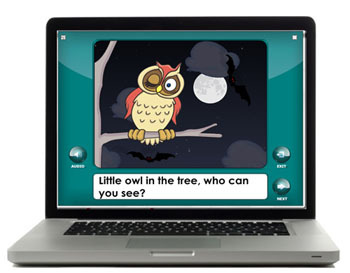 Our teacher-tested resources are perfect for preschool and kindergarten home school. In our ABC Twiggles member site you will find activities, interactive booklets, crafts, and printables for each letter of the alphabet. Each letter contains research driven activities to introduce and teach children the letters of the alphabet with all their senses. Included are also a Lesson Guide and Lesson Plan for each letter. All resources can be viewed right from your computer, are downloable, and can be printed from anywhere. 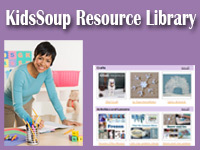 The KidsSoup Resource Library offers activities, crafts, games, booklets, worksheets for more than 100 topics. Begin with your children's interests or the skills you want to focus on. You can search by theme, skill, or resource type to easily find the perfect resource. Print the directions and printables right from your computer or save them in your My Resource Box folder for easy future access. As a KidsSoup Resource Library member, you will receive access to all our themes and resources at all times! New resources are being added each month! Our newest addition. 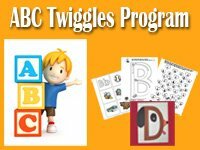 Due to popular demand, we have added to our interactive online books that were previously only available inside our ABC Twiggles Program. 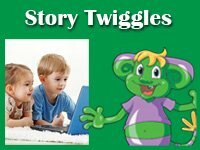 As a Story Twiggles member, you will get access to our library of over 70 Twiggle Books which are animated, interactive, read by professional voice-actors, and are enriched with music and sound effects. Twiggle Books are sorted into reading levels and are designed for the emergent reader. Each book offers printable versions of the Twiggle Book in color or b/w, a coloring page and a language arts and a writing worksheet that build on each Twiggle Book story. Can't decide? No worries - we offer great bundle pricing.